This is a vintage real photo postcard from The Loran D. Martin in Lakeshore, CA. 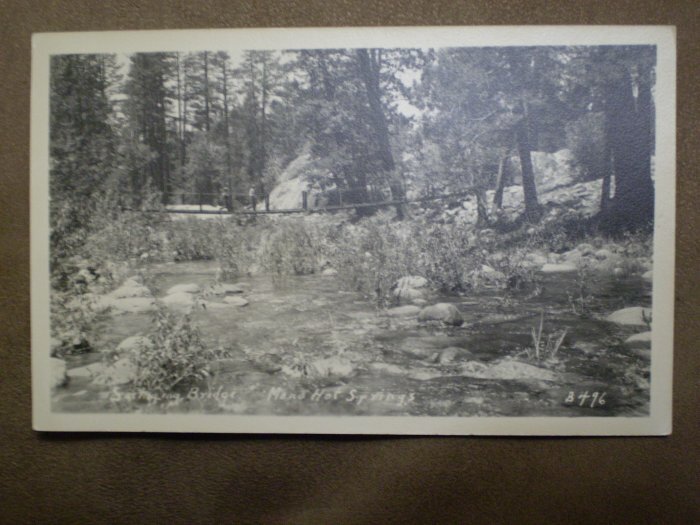 The caption reads what appears to be "Swinging Bridge Mono Hot Springs B496." The postcard is in black and white with a white border, is unused, and has a divided back. The stamp area is marked EKC. In good vintage condition - no tears, no stains, some yellowing.